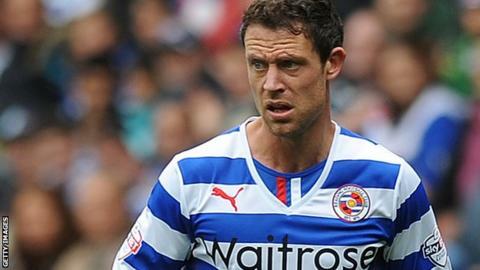 Former England defender Wayne Bridge has retired from football after being released by Reading. Bridge, 33, made only 12 appearances for the Championship side this season because of knee problems after joining from Manchester City last summer. He started his career with Southampton and spent six years at Chelsea where he won a Premier League title, an FA Cup and League Cup. Bridge won 36 England caps between 2002 and 2009. The left-back was a long-time deputy to Ashley Cole in the England team before announcing the end of his England career before the 2010 World Cup. His retirement followed newspaper allegations regarding his former girlfriend and his international team-mate John Terry, which led to Terry being stripped of the England captaincy. At the time, Bridge said his place in the squad was "untenable and potentially divisive". Bridge began his career at Southampton, making his debut in 1998 and staying for five further years before spending five-and-a-half years at Chelsea, where he became a Premier League champion in 2005. He moved on to Manchester City in January 2009, going on to have loan spells with West Ham, Sunderland and Brighton before signing for Reading on a one-year deal. Reading also announced that they have released captain Jobi McAnuff, 32, midfielder Mikele Leigertwood, 31, defender Kaspars Gorkss, 32, and goalkeeper Stuart Taylor, 33. Royals boss Nigel Adkins told the club website: "I would like to place on record my thanks to Jobi, Mikele, Kaspars, Wayne and Stuart for their efforts and contribution to the cause."